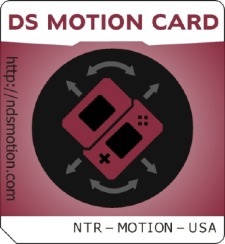 We're not sure how useful this $25 third party motion sensing card would be, seeing as there aren't any official DS games that support it. But if you're a fan of homebrew games and swinging your DS around like a monkey with a Dickens' novel, have at it. Perhaps if enough people buy this once it's released next year, Nintendo will provide some games and/or an official motion sensing card as well.